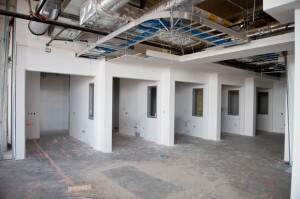 State-of-the-art hospitals aren’t built overnight. Of course, this isn’t news to anyone. 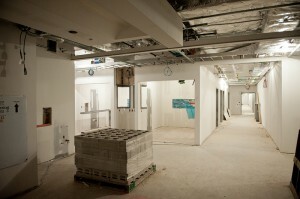 But what exactly goes into the construction of a new hospital? 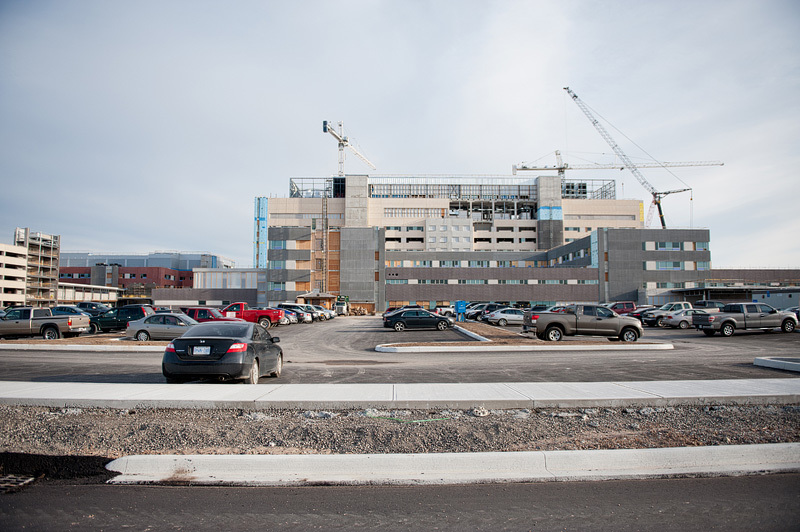 We’re giving you a behind-the-scenes sneak peek at the New Oakville Hospital, a project Parkin was selected to design in joint venture with Adamson Associates Architects. 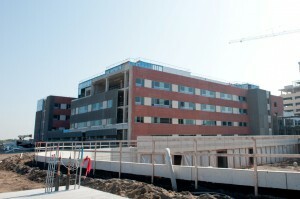 The new 1.5 million square foot hospital will replace the current Oakville-Trafalgar Memorial Hospital, which originally opened in 1950. 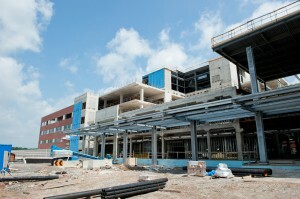 Construction of the new hospital started in August 2011 and is scheduled to reach Substantial Completion in the summer of 2015. 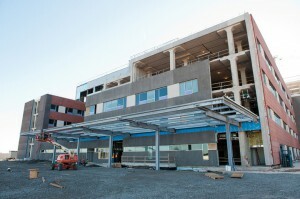 The hospital has been designed and will be built with the goal of achieving LEED certification. 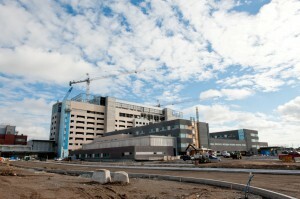 Other highlighted targets include: Family & Patient Centred Care, Evidence-based Design, Lean Principles, flexibility for new and expanded clinical services and technology, ability to foster a positive work life, professional development and supportive and safe environments for patients, staff, volunteers and students, while also maximizing opportunities for future site development. 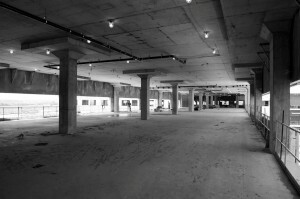 The timeline officially reaches back to September of 2005, when Halton Healthcare Services received approval from the provincial government to proceed with planning. 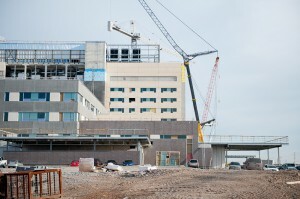 Jump ahead to May 11, 2012, when six cranes arrived at the site. 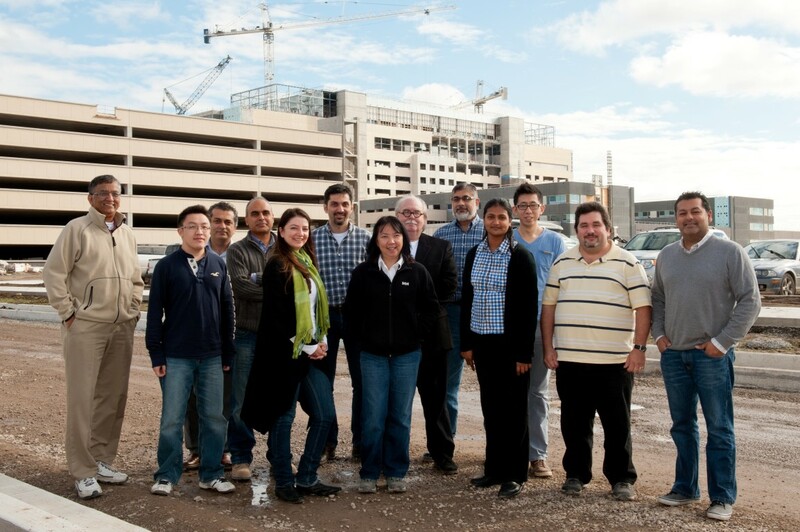 A little over a month later, the foundation was laid, and in April of 2013, the hospital reached its final height. See the full timeline here. 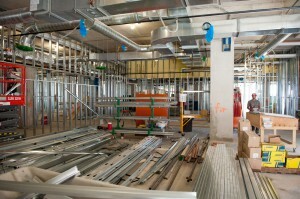 We’re fast-forwarding to July of 2013 to show you how far the construction has come. 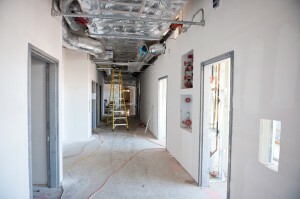 Construction: EllisDon Corporation, Carillion Canada Inc.